Bob focuses his practice on customs and international trade law. 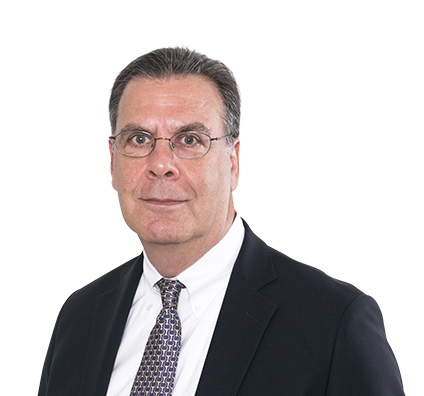 He brings 30 years of experience to a wide range of issues that affect inbound and outbound goods, including tariff classification, valuation, country of origin marking matters, free trade agreements, and special trade programs. He also has extensive customs compliance experience and regularly assists importers facing U.S. Customs and Border Protection (CBP) audits, penalties, seizures, redelivery notices and other agency enforcement activities. Bob works with importers and exporters proactively to achieve cost savings and structure programs that meet CBP “reasonable care” requirements. He also handles supply chain security issues, including Customs-Trade Partnership Against Terrorism (C-TPAT) enrollment, verification and annual reviews. As a result of working on numerous imported goods matters, Bob has experience with other agencies that affect international trade and trade policy. These include, among others, the Consumer Product Safety Commission, the Food and Drug Administration, the Fish and Wildlife Service, the International Trade Commission, the Department of Commerce and the U.S. Trade Representative. Bob has particular experience with a variety of soft goods and hard goods, including textiles and apparel, footwear, consumer electronics and home appliances. Before joining the firm, he was a member of the global trade practice group of an Am Law 100 firm. He also was a director for a company that sourced apparel for U.S. distributors and a senior manager with the international trade practice of a “big four” accounting firm. Will there be an Exclusion Process for Section 301 List 3 Products?